An entertaining and interesting look at the dress and deportment of the 18th century. Learn about the uniforms and equipment of the troops living in Fort Erie in the early years of this outpost. Peter Twist has studied the dress of soldiers from the period to recreate the actual “kit” and create very accurate miniatures of troops and warriors from the past. While the story of the Loyalist arrival in Canada is told in Canadian history books, far less time is spent on the dramatic and dangerous experience they had during the war that saw the 19 British Provinces of North America divided. Gavin brings to life the many successful campaigns launched by Loyalist Provincial Regiments, Loyalist Rangers, European troops, and Indigenous allies against the “Rebels” and their French and Spanish Royal allies. Gavin Watt, a professional engineer by training, is considered Canada’s top authority on the personal and military experiences of the Loyalists in the American War of Independence. While Americans often refer to the War of 1812 as the Second War of Independence, placing far less importance on 1812 compared to the Founding generation of the United States, Gavin’s writing tells the other side of the American Revolution and keeps this founding history alive in the minds of Canadians. Gavin is also credited with creating some of the first reenacting units in Canada, and he founded the Museum of Applied Military History. Travel to the edge of the Niagara River to the War of 1812 National Historic site, and experience season-long events with the Old Fort Erie Season Pass. All 4 Speakers · Trivia · Murder Mystery · Ghost Tours · and More! A Ryerson University History Professor since 2008, Dr. Carl Benn is the author of several publications, including history books such as Historic Fort York, The Iroquois in the War of 1812, The War of 1812, and and Mohawks on the Nile. He previously worked in the museum field for 34 years, latterly as Chief Curator at the City of Toronto Museums and Heritage Services, and is currently researching the history of the Royal Ontario Museum for his next book. John Norton, a man of Cherokee and Scottish origins, arrived in the Great Lakes region in the 1780s as a British soldier posted to Fort Niagara. Soon after, John left the army and entered the Indigenous world. He taught school among the Mohawks, traded furs in Ohio, and fought the Americans on the Wabash. Subsequently, he became an adopted Mohawk on the Grand River, served as a Haudenosaunee (or Iroquois) diplomatic chief, and fought in more War of 1812 battles than virtually anyone else. Join Dr. Carl Benn on an illustrated journey of Norton’s—or Teyoninhokarawen’s—life within the dramatic story of the Indigenous Great Lakes. Since 2012, Dr. John Triggs has conducted a program of research archaeology at Old Fort Erie, the famous War of 1812 site that witnessed an unprecedented number of casualties on both the British and American sides. Learn about exciting discoveries that shed light on the life of the soldiers, officers and Indigenous people who were involved. Surprising new discoveries in 2015 and 2017 of the first Fort Erie, constructed in 1764, have led to a shift in focus for the digs. Dr. Triggs’ ongoing work now seeks to understand the life in a frontier setting at the oldest British military fort in the province. Dr. John Triggs is an associate professor and Department of Archaeology and Classical Studies Chair at Wilfrid Laurier University. His research specialization is the archaeology of the Historic Period in North America, particularly on military, domestic and fur trade sites. Past university research projects include the excavation at the Royal Navy base in Penetanguishene (1991-2000), various military and domestic sites in Bermuda (1988-2013), archaeological and documentary research at the 19th century industrial ghost town of Indiana located on the Grand River (2004-2011), and most recently a multi-disciplinary investigation of Old Fort Erie (2012-2019).  Purchase tickets below for individual sessions, or take advantage of the Old Fort Erie Season Pass for access to all four speakers, along with admission to Old Fort Erie and all Fort events in the 2019 season.